Victor Bosire scored 13 points and Martin Kitonga seven to steer Kenya Ports Authority to the Kenya Basketball Federation playoffs after a 57-56 win against Ulinzi at Strathmore University. 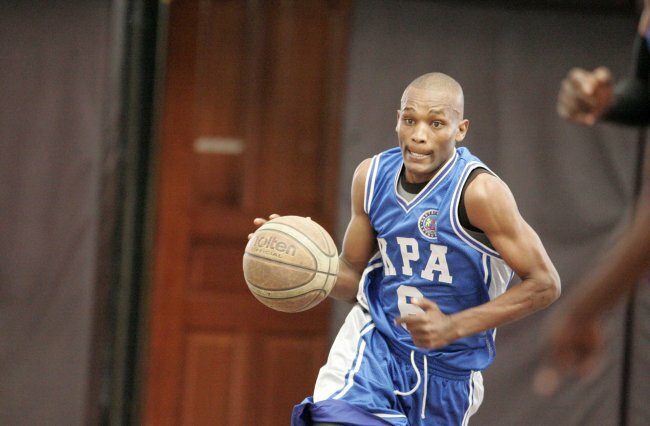 In this match, KPA trailed 23-28 at half time. Ancette Wafula scored 14 points and William Ochieng 13 for the soldiers. Kenyatta University Pirates bouncen back from a 39-57 loss to narrowly beat Lakeside 59-55 in Kisumu to level 1-1. Trailblazers won the second match against Mt. Kenya University, Thika 56-50. Victor Kosgei scored 12 points and Joseph Koech 11 for Trailblazers who trailed 28-30 at halftime. Hezron Omondi replied for the students with 15 points and Dan Mumo had 10 as the teams await the decisive third match. Trailblazers won the first match 62-57 last Saturday. In another match, Africa Nazarene University beat Strathmore University 55-53 after the two teams tied 24-24 at halftime. Sam Mutomboki and Keith Masinde scored 12 points each for Strathmore University while Emmanuel Mwangi and Jonathan Nechi replied with 12 and 10 for ANU. Mt. Kenya University, Thika 50 Trailblazers 56 (Game two), Strathmore University 53 Africa Nazarene University 55 (Game two), Ulinzi 56 KPA 57 (KBF League), Lakeside 55 Kenyatta University Pirates 59 (Game two). Fixtures, Sunday, November 11, 2017: Co-Operative Bank v Zetech (Game one, 8.30 a.m.), World Hope v Nakuru (Game two, 10 a.m.), Strathmore University Blades v USIU-A Tigers (Game one, 11.30 a.m.), Co-Operative Bank v Umoja (Game one, 1 p.m.), Thunder/Equity v KPA (Game one, 2.30 p.m.), Ulinzi v Thunder/Equity (Game one, 4 p.m.).